I adore writers who utilize the absurd and grotesque, really for whatever reason. Adore O’Connell. Adore Faulkner. And now, I’ve found a Hungarian writer with similar leanings: István Örkény. Örkény was born in 1912 and initially went into chemistry as a profession, earning several degrees in the field. Because he was a Jew, he suffered the same awful fate that most Hungarian Jews did, he was sent to a forced-labor unit near Moscow, though was able to return to Budapest after the war. After the failed revolution in 1956 until 1960, he was forbidden from publishing anything because it was seen as political insurrection. After 1960 and until his death in 1979, he became very popular for his stories, especially his one-minute short stories for their absurd and grotesque criticism of the time. I really love this collection. 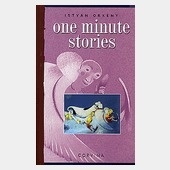 It’s with this Eastern European (if not uniquely Hungarian) experience, that Örkény set out his anecdotal and often critical observations onto the page. Some are tongue-in-cheek, some are pure comedic, and others are direct social criticism as expressed through the pointedly grotesque. The stories are widely popular in Hungary, and Örkény is still recognized as one of the masters of this genre. I’ve been seeking out Hungarian writers since I’ve arrived, and haven’t done the best job of finding what I’ve been looking for (namely contemporary women poets), but these stories have been a pleasant surprise. With respect to the writer, who called these stories stories, I won’t go into too much theorizing about how I think a lot of these confuse the boundaries between flash fiction and prose poetry, but since I’ve been away from the classroom for a year now, I think I’ll relish in this little theory discovery. And I’ll leave you with one of the stories that I find to be the most lovely. (a practical approach)Stand with your legs apart. Bend forward. Look back between your legs. Thank you. Now look around you and take stock of what you see. The world has been stood on its head. The gentlemen’s feet beat about in the air while the ladies, see how they grab for their skirts? The cars, too: their four tires are spinning in the air, looking for all the world like a dog trying to scratch its stomach. Then there’s the chrysanthemum, its thin jack-in-the-box stem reaching for the sky as it balances precariously on its head – and the express train speeding along on top of its trail of smoke. [sign upside down] FRESH BEER ON TAP! Inside, a customer, his head to the floor, staggers laboriously from the counter, holding a mug of beer in his hand. Do notice the order, though the foam is at the bottom, the beer is on the top, and the bottom of the mug is on top of the beer. Yet not a drop is spilled. Is it winter? You bet your life! Just look at the snowflakes as they flutter up, and the skaters as they zigzag in pairs, dangling from the icy mirror of the sky. Not an easy sport, skating! However, let us look for a merrier spectacle. Ah, there! A funeral! Amidst the snowflakes falling up, through the veil of tears trickling the other way around, we can see the gravediggers haul the coffin up with two hefty ropes. The colleagues, friends and relations of the deceased, both near and far, his window and three orphans, all grab some clods of earth and begin pelting the coffin. Let us recall the heartrending sound as the clods of earth are flung into a grave, knock against the coffin and break into tiny little pieces. The grieving window sobs. The poor fatherless orphans wail. How different it feels to throw things up! How much more dexterity it takes to hit the coffin! To start with, you need quality clods, otherwise they disintegrate halfway up. So there is much grabbing, shoving and running helter-skelter to retrieve the most compact pieces. But a good clod of earth is not enough. Badly aimed, it falls back down and if it should hit somebody, especially a rich, distinguished relative, there is no escaping the titter of delight that follows. However, if all goes well and the clod of earth is firm and compact, the aim is accurate and on the mark, the man who flung it is applauded, and everyone goes home feeling happy. For days to come people talk about the perfect aim, the charming deceased, and the amusing ceremony, how splendid it turned out, and they do so with no trace of hypocrisy, feigned lamentation or pretense at sympathy. And now, you may straighten up. As you see, the world is on its feet again, and you are at liberty to mourn your dearly departed with all the tears and dignity you can muster.